Hunters can relate that how inconvenient it is looking out at your targets in the darkness. The hobby becomes limited as a result of night-time restricted vision. Now with the prevalence of night vision scopes, hunters have found their best companions to mate with their rifles. Hunting is nowadays a pleasurable wilderness activity to indulge in because night vision is enhanced by rifle scopes. However, it becomes yet another challenge to find the best night vision scope for the money that will meet your hunting needs because of their popularity on the market. To help you achieve your dreams, we have compiled a list of great night vision scopes wherein you can find the best night vision for the money. 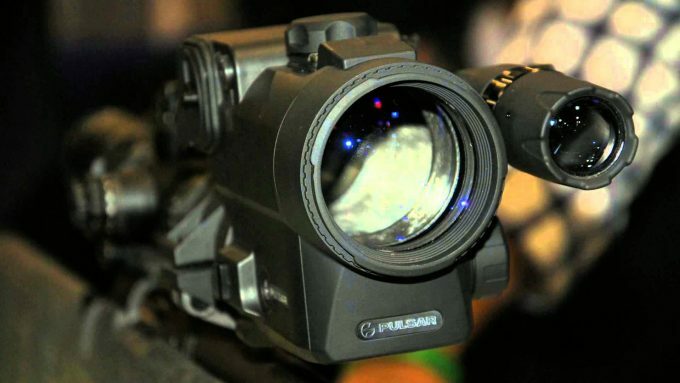 Getting that best night vision scope for the money is a key to an excellent target acquisition, a greater field of view as well as an enhanced night vision observation. Many of these tools are quite expensive. The strategy to find the most affordable is to make informed buying decisions. Keep in mind that not all are well-equipped. So, you need to know what you want in a night vision scope. This entails familiarizing yourself with a broad range of features that a scope encompasses. We will start by highlighting the precious features that you might likely find in a typical night vision scope. Then after acquainting you with these features, we will take you through to the reviews of individual scopes to help emphasize the important features. This will certainly help you carefully choose one. Check the tabular comparison of the best night vision scopes we have reviewed. This will give you a glimpse of the difference between these products. As highlighted above, there’s a broad range of features associated with each scope. Although many people might have varying perceptions as to which feature supersedes, we have discussed a few common and critical ones that could also save you money. Let’s assume you’ve probably invested a lot to have an advanced rifle. So, you have to complement it with an advanced night vision scope too. Among other features, we have taken into account the reticles, magnification, lens diameter, exit pupil, and resolution. What could be the use of having a night vision scope without magnification anyway? This is one of the features that are paramount in any scope. You, therefore, have to look out for the best magnification. But, beware; because having a higher magnification doesn’t necessarily mean you have the best scope. A higher magnification may be associated with a smaller field of view, and, consequently, a limited observation. That being said, magnification should be reasonable. It can be as high as 80x or as low as 1x. The best way to win over this is to have a scope with adjustable magnification. The scopes we have reviewed below have, on average, magnification below 5x. So that’s a good indication that you will have a high degree of field of view. We have just highlighted the relationship between a field of view and magnification above. A night vision scope with a higher field of scope is a must-have. The larger the field of view is the greater the target acquisition. It basically refers to the distance that you can capture your target at a given magnification value. So be on the lookout for the night vision scope with a high degree of field of view to increase your chances of shooting your targeted wild animal. 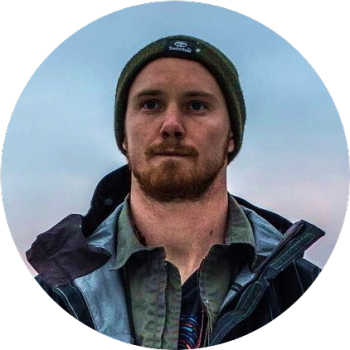 Without sufficient light gathering, it may be challenging to have a crisp image of your target. The lens diameter is actually the width across the center of your scope’s lens. Most of the objective lens diameters are measured at 42 mm. That’s a better measurement to allow more light and consequently a better view. You have to take this diameter into account too. Usually, top scopes may have a range from 50 to 60mm, with inferior scopes measuring below 30 mm. With reticles, you can align your rifle with your target. The night vision scopes come with various designs of reticles and you should also take note of that. For instance, we have the etched reticles and the wire reticles. The wire reticles are made of thin wire embedded into the lens of your scope, whereas the etched reticles are customizable to meet your needs. They feature illumination to enhance target acquisition at night. This entails the width of a tube of the scope where you align your eye to see the targets. The larger width lets more light which may make it hard for target acquisition. But the larger pupil helps in hunting so you can see a broader view. The recommended width is 7mm for the night vision scope because it aligns well with the average human eye pupil. Keep this mind when shopping for your scope. These are a few yet important and critical features that you should look for in a night vision scope. Other factors could be checking your budget because, essentially, there is no scope that can be deemed the all-in-one. It comes down to what you prefer as a hunter. Some scopes can see to a certain number of yards, so that is also a consideration when purchasing these scopes. Moreover, some are classified under Generation 1 and other Generation 2. The more advanced ones with a clearer image although expensive are the ones in Generation 2. Generation 3 category also exists although rare for civilian scopes. Remember that these tools were initially designed for military use to target enemies. 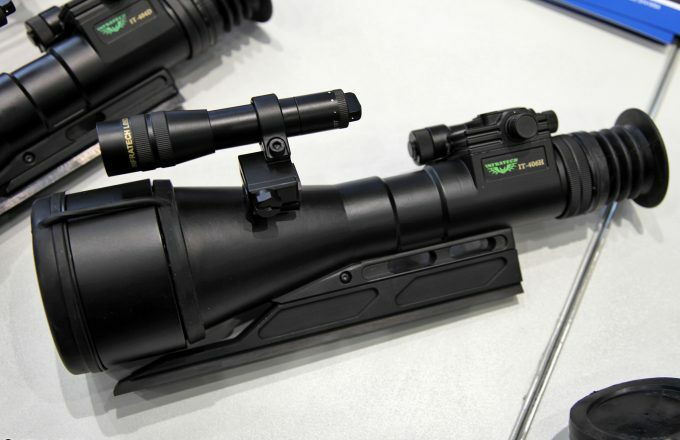 Let’s now review our best night vision scopes with the emphasis on the features aforementioned. After taking a look at the features that go into a top night vision scope, it is now time to check out our picks. Each of these is a great option, but you’ll want to keep in mind those things that are most important to you before making your selection. The Sightmark Photon XT emerges as the best friend for any hunter who strives to hunt efficiently at night. This night vision scope is engineered for precision with its high resolution and optional 6 reticle styles. Targeting wild animals with this scope is quite a breeze. You can view your actions later on with the integrated video recording feature. And if you are hunting amid harsh weather, the scope will not be affected by any weather because of its weatherproof and shockproof features. And again, it has 33% battery life than other night vision scopes. Its magnification of 4.6x and the resolution of 640×480 guarantees a clear image for enhancing your shooting accuracy. It can capture images up to a distance of 120 yards. That is sufficient for medium range hunting. 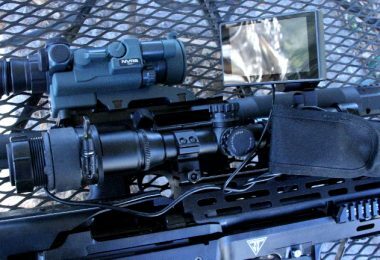 The weaver rail allows you to attach additional accessories onto this night vision scope. The other advantage of this scope is its lightweight and streamlined design. The Yukon NVRS Titanium is all you need for exquisite hunting experience at night. The scope is made of a durable titanium body with a sleek design that makes it stand out from other night vision scopes. It is compatible with the widest range of rifles on the market and brings you all the comfort of shooting your target with a powerful 42 mm lens. With this lens diameter, you are assured more light gathering capabilities as well as higher resolutions. 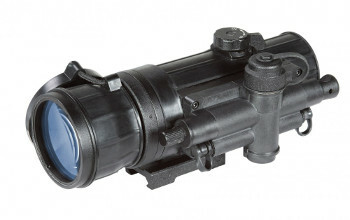 With this night vision scope, you will be able to capture up to a distance of 200 yards with a magnification of 1.5x. The other notable and intriguing features extend to the flip-up lens that uncovers the multi-coated optics and illuminated reticles. And more crispness of the image is enabled by the integrated pulse infrared illuminator in the complete darkness. In addition to these features, there’s remote, elevation adjustment and precision windage. You can optionally include additional accessories such as the IR Flashlight and AK Adapter. In your package, you will find the carrying case, flip-up lens, and the remote controller. Related: To securely and efficiently operate this night vision scope, we recommend the Firefield Compact Bipod with the mounting adapter included. It helps to stabilize this scope. It attaches to the firearm’s swivel stud rubber feet for enhanced stability. With the Armasight CO-MR-SD, you have assured the best vision at night that yields crystal images since it falls under Generation 2 category. The scope is powered by lithium batteries and manipulated by the wireless remote control. It is one of the versatile scopes whereby you can quickly transition from the day vision to the night one. 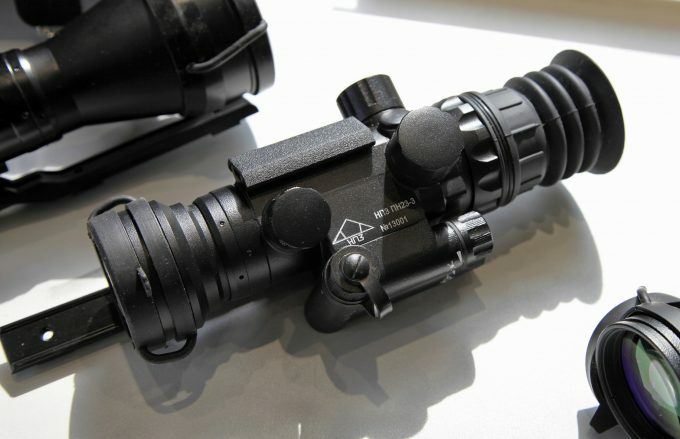 It is also a reliable night vision clip-on system that can attach to any daytime scope without any zeroing. 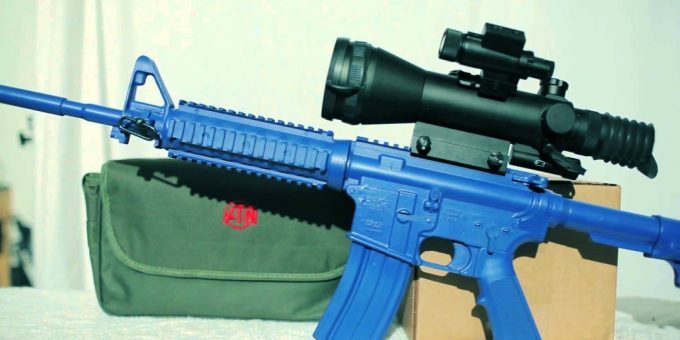 Military personnel has fallen in love with this product because it provides them excellent target acquisition and aiming capabilities using the advanced features. 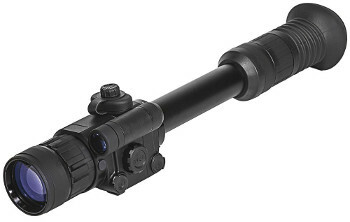 You can use this clip-on system with scopes that have a magnification that ranges from 6 to 7x. Other features include the variable brightness control, quick release mount, and bright light cut-off system. If it runs out of the battery, there is the low battery indicator which will signal you to change your battery. Separately, it has a magnification of 1x and falls under Gen 2+. Meanwhile, the exit pupil diameter is 21 mm and the field of view is 12.6 degree. The manufacturer offers the 2-year limited warranty. 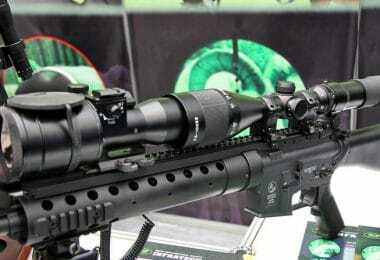 Armasight scopes generally expensive. They are the high-end night vision products. Related: To power the scope, we recommend getting the Energizer L91BP-8 Ultimate Lithium AA Batteries. Any model of a battery can be used, provided it is compatible as per the recommendations above. The Firefield FF16001 NVRS enables you to hit your target accurately and precisely in the complete darkness with its higher magnification of 3x. The integrated IR infrared illuminator improves image details for target acquisition and also boosts your observation range. The detachable Weaver mounting system allows you to change the optics quickly without impacting the return-to-zero reliability. More light is gathered by the 42 mm lens diameter to increase your chances of shooting your target precisely at a medium-to-long range. 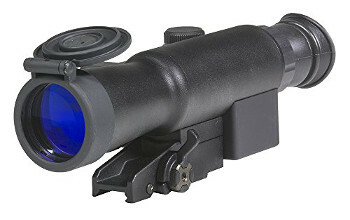 The multi-coated optics and the illuminated red duplex reticle are covered by the flip-up lens from inclement climatic conditions in the darkness. Meanwhile, the brightness adjustment enables you to adapt to any hunting location. Related: The night vision scopes consume more power. 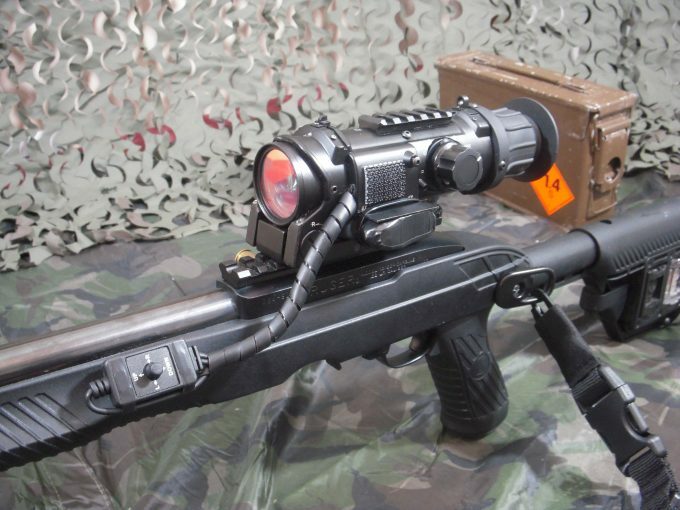 We recommend the 12 pack of Streamlight 85177 CR123A Lithium Batteries to power this scope. The shelf life is 10 years. The ATN Gen 2+ Night Arrow has a light and compact design for convenient use during hunting. 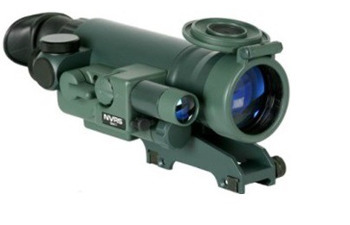 It provides great target acquisition and observation capabilities with its 4x magnification. As a generation 2 night vision scope, you have assured the best images for your target as well as aiming capabilities. For a top-notch performance, the scope has an automatic brightness control to adapt to any environment in the darkness. It is also resistant to fog and water. So feel free to use this product in any climatic condition setting. The illuminated center red reticle helps with the best contrast when confronted with the light or dark wildlife target. 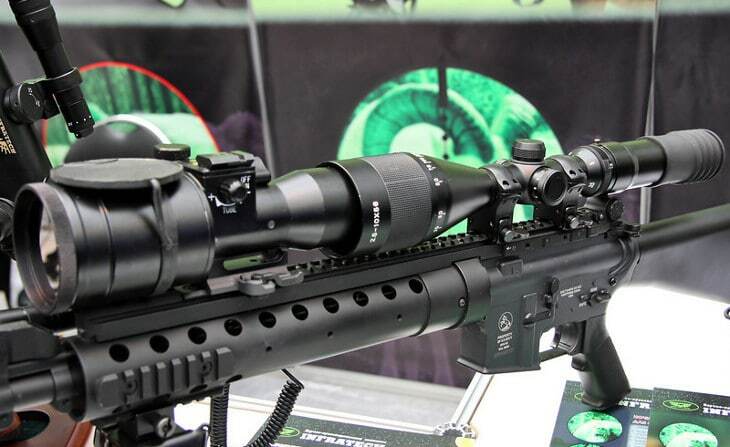 This scope also utilizes a red on green reticle system for ease of use and target acquisition. It can also be mounted to standard weaver rails. But before ordering this product, beware of the jurisdictions of the US Government. 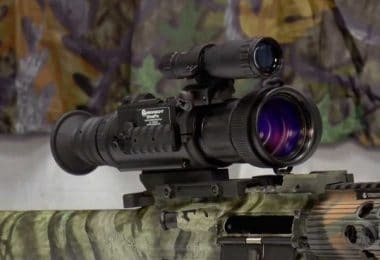 People outside of the US are not given the privilege to own this night vision scope. Related: The scope is powered by 1 AA type battery. We, therefore, recommend the Energizer MAX AA Batteries as the related product. Having more batteries helps in the event where one gets depleted because this scope consumes more power. The Armasight Vega Night Vision Goggle offers a hands-free operation to be able to see at night effortlessly. It’s a light, durable and compact design that can be carried to any place. Now you can maneuver your rifle to aim at your target while illuminating it with the head-mounted night vision. The product can be positioned in line with any eye. The integrated IR illuminator and magnification of 1x make it possible to see clearly and excellently in the darkness so that no target slips through your fingers. 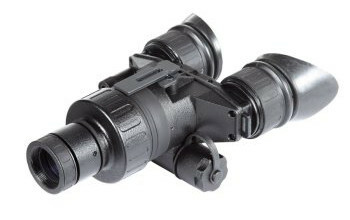 You can also pair it with the long range infrared illuminator that is sold separately to enhance your observation field. The other features include the single push-button operator, glass optics, and the composite housing. With the exit pupil diameter of 8mm and the objective lens diameter of 20.6 mm, you are guaranteed to have more light gathering and aiming capabilities. The 40-degree field of view also increases your chances of spotting and shooting your target with ease at a magnification of 1x. This head-mount night vision is fog and water resistant. If any defects arise, the manufacturer a two-year limited warranty. Related: A pack of 10 Panasonic CR123A Lithium 3V Photo Lithium Batteries and a pack of 12 Streamlight 85177 CR123A Lithium Batteries are suitable to be used to power this night vision scope. They are durable batteries with a shelf life of over 10 years. The Bushnell LYNX Night Vision Binocular is a generation 1 pair of night vision binoculars that comes with the integrated infrared illuminator. 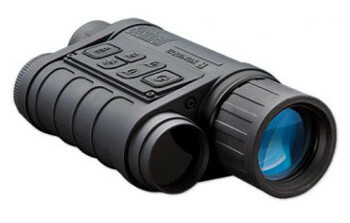 The infrared illuminator can view up to 90 yards. And viewing capabilities are enhanced by the 2.5x magnification as well as the 40mm objective lenses. 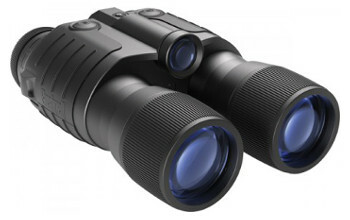 These binoculars make night-time hunting a pleasurable adventure. It is also weather resistant. So no matter how harsh the weather is, you will certainly enjoy hunting at night with this product. The downside of this product is that its operating AAA batteries are not included, so you have to purchase them separately. However, being a fairly standard size of battery you should have no problem tracking down some extra to power this pair. The field of view is impressively wide for your hunting experience. Even the law enforcement officers can find Lynx these binoculars quite helpful in their endeavors. Related: To power these binoculars, you need 2 AAA batteries to purchase separately. We recommend the Energizer Max Alkaline AAA Batteries. They are a reliable power source with no leaks. Specific features: Monocular night vision with 3x magnification, 1 to 3x digital zoom, 30 mm objective lens diameter, operates with 4 AA batteries, water resistant and tripod mountable. The Bushnell Equinox Z features 3x magnification as well as 30 mm lens diameter to help enhance your night-time vision. You can view up to 500 ft either during the day or night thanks to the powerful integrated infrared illuminator that this monocular has. The unit operates on a long battery life, but the 4 AA batteries are sold separately. It can also be mounted on a tripod for table operation or mounted on a car’s window. 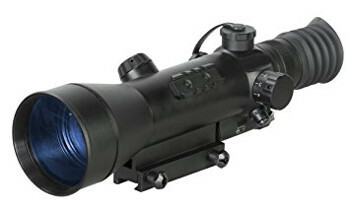 Other notable features include the excellent infrared illumination, an outstanding field of view to see more targets, and great optical clarity. And you can also zoom the image at a range of 1 to 3x. The video recording feature helps you record with ease what you have seen later on. This is good when you want to show your friends what you have seen in the wilderness or when reporting to law enforcement agencies the evidence of house intrusion. Related: We recommend the Spotting Scope Tripod to mount this monocular scope for ease of operation and for stability. It provides a sturdy support. Also important are the 4 AAA batteries that are to be purchased separately to power this monocular. We, therefore, recommend the Energizer Max Alkaline AAA Batteries. In addition to the hand-picked night vision products reviewed above and the critical features discussed, you have to take note of your budget needs. Essentially, there is no unit that can be an all-in-one for your hunting needs. It is better if you evaluate your needs, the climatic conditions to hunt in, and the range from which you will hunt. Knowing your needs helps you relate them with the features embraced by each unit. Don’t forget that all of these tools require a power source. For many of them it is a changeable battery, be sure that you have some on hand and an extra set to take out as well. And when making any purchase, it is also imperative to take note of the warranty against each product. No product is a guarantee of full functionality without defects. In such instances of defects, it is advisable to have a warranty. But be sure to take note of both what the warranty will cover and how long it will last. This also gives you a good idea of how solidly the company feels the scope is built. Also noteworthy is the limitations with the US-manufactured night vision scopes. They are bound by the US trade laws wherein any person outside of the US is restricted access to them. So ordering such products will be in vain for you. We have reviewed some of the best night vision scopes on the market to help you pick the best one for your needs. In my reviews, to narrow down your search, we have discussed critical features that you should look for whenever making a purchase. And in the reviews, we have emphasized such features and also mentioned some of the related products that work in synergy with the scopes. These products are relatively expensive. So it is advisable to evaluate your budget first. Have you ever used any of these products before? If so, please share with us your experiences below in the comments section. If you have any questions we will be glad to respond to them there as well. Additionally, don’t forget to share this post to all of your friends on social media. You never know when one of them may be in the market for a cool new night vision scope.